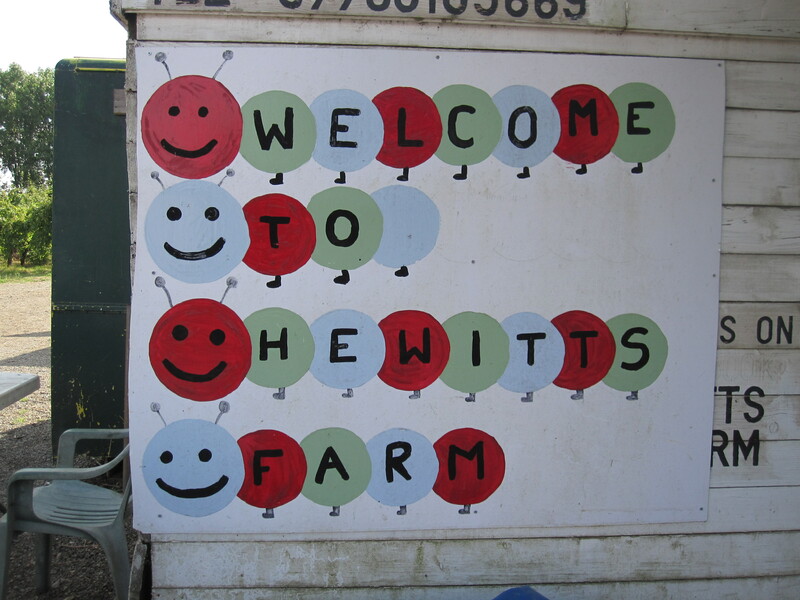 As we head into late summer here in the UK my family and I went down to Hewitts ‘pick your own’ farm in Kent. I haven’t been for a number of years but its a trip we made every summer when my siblings and I were kids. There are rows and rows of apple and plum trees, and acres of various vegetables. Back then there was also a tractor with haybales to tow you around from one end of the farm to the other. This time there were several vegetables and fruits ripe and ready to be picked. A trip to the farm usually means lots of walking, bending and stretching which can be exhausting but taking in the view and clean air as you go is just what you need. 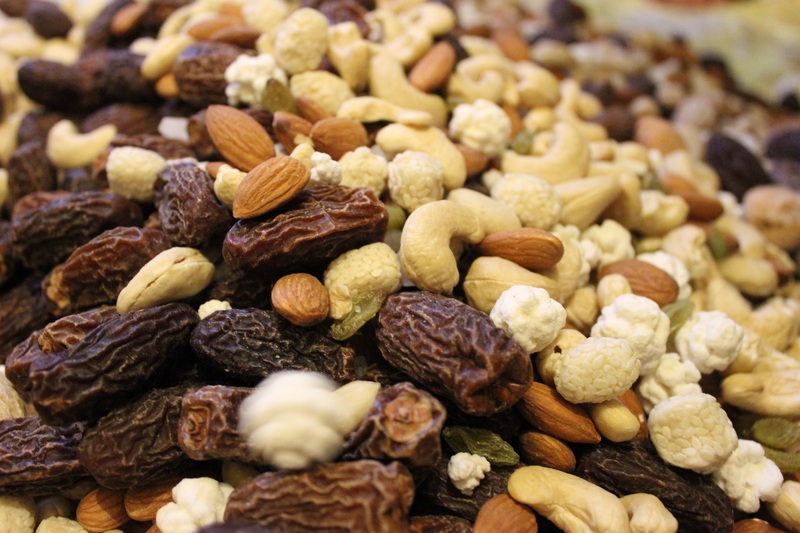 Also what could be more rewarding than being able to sample what you picked yourself, which we did and really enjoyed. I went to a department store in London recently called Fortnum and Mason. Its known as the Queen’s grocer and has been operating for over 300 years. 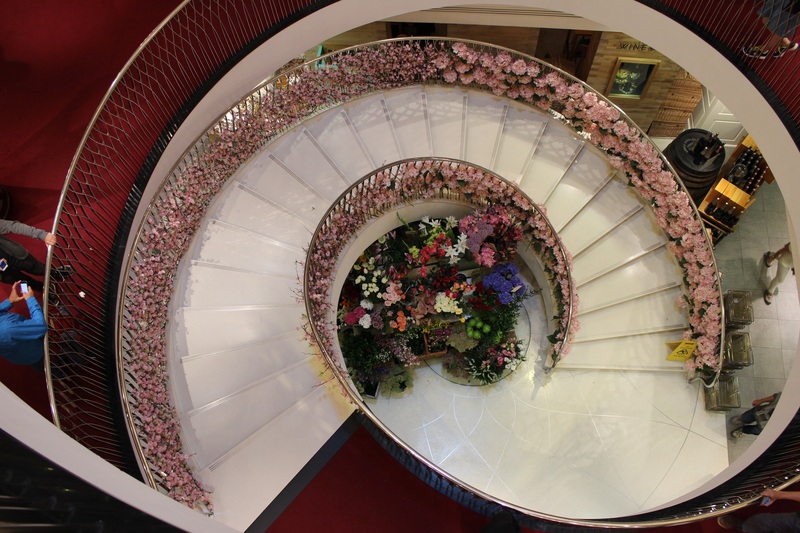 On the day I visited they had their spiral staircase beautifully decorated in pink, delicate flowers which I just had to capture. Other wonderful and interesting things I spotted were glacé fruits, colourful candles and delicious looking sweets. I also tried some of the tea that was brewed whilst I wandered. It was fun walking around and seeing things that I wouldn’t normally see in my every day life. I don’t plan a visit again anytime soon, but if I happen to be in the area I’ll be sure to have another browse. My older sister decided to throw an Eid party to celebrate the end of Ramadan and on this occasion she asked the guests to bring along a dish so we could all share something with each other, which was a nice idea. The guests who came were good cooks and really generous which meant we had lots of delicious foods to eat and sweets treats to tuck into. There were a wide variety of savoury and spicy dishes which went down well; kebabs, rice, chicken curry, samosas and many more. 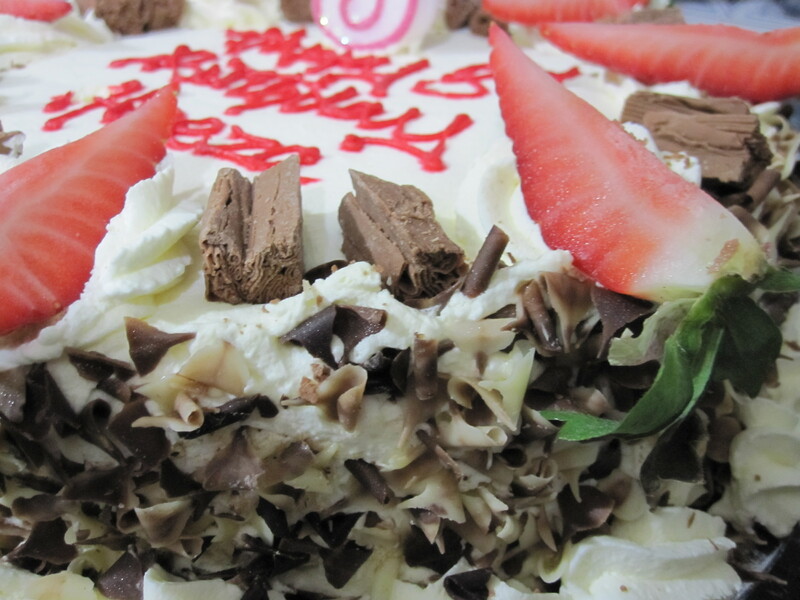 The desserts that were bought along were just as delicious, my younger sister made a tasty chocolate cake, jelly shots for the kids disappeared in minutes, and the healthier options of a fruit platter or fruit with custard and whipped cream, which looked great, was thoroughly enjoyed. There were also mini gingerbread men and muffins and sweets. Everyone enjoyed the food, games and prizes and we were all exhausted by the time the guests left, but happy that everyone had a good time. 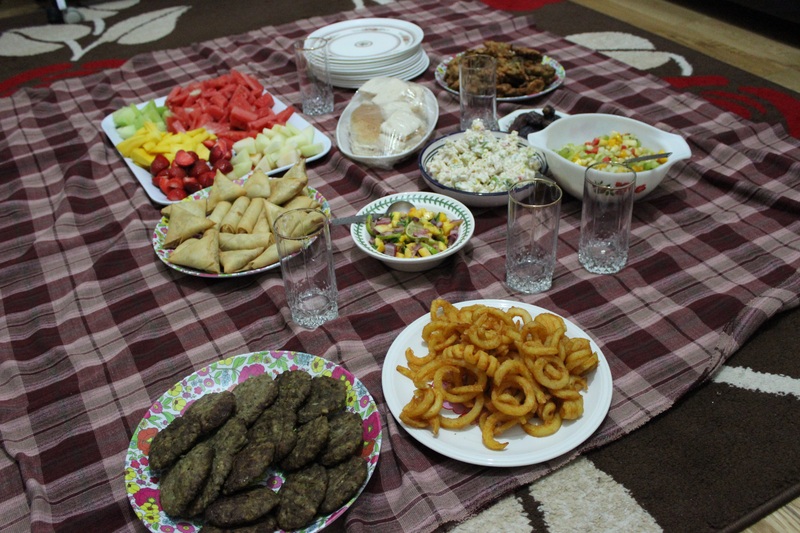 On Friday all my siblings, along with their families, came over for iftar. Iftar is the arabic word for ‘break fast’ and is the meal that we have when its time to open our fast during Ramadan. My sister’s decided to help out and bring along a dish or two to share. We had a whole range of foods and what was planned as small meal quickly became a feast. Traditionally dates are eaten to open a fast but with a whole range of foods to choose from everyone found something they wanted to eat. There was some delicious, fresh exotic fruit, chicken sandwiches and creamy pasta, as well as my mum’s famous kebabs. There were also some slightly unhealthy but tempting options such as curly fries and samosas. Other foods to eat were chicken curry, chickpea salad and mango salad, and my sister-in-law’s succulent lamb chops. I would have taken more pictures but there came a point where I had to put the camera down and dig in. For dessert we had a choice of refreshing mango milkshake, sweet jalebi and pretty cakes. When we put everything down ready to eat we all had some of everything and were soon full to the brim. It was a nice evening with everyone sharing a much needed nourishing meal and good company. I look forward to Eid which isn’t far away now to enjoy another big meal together. 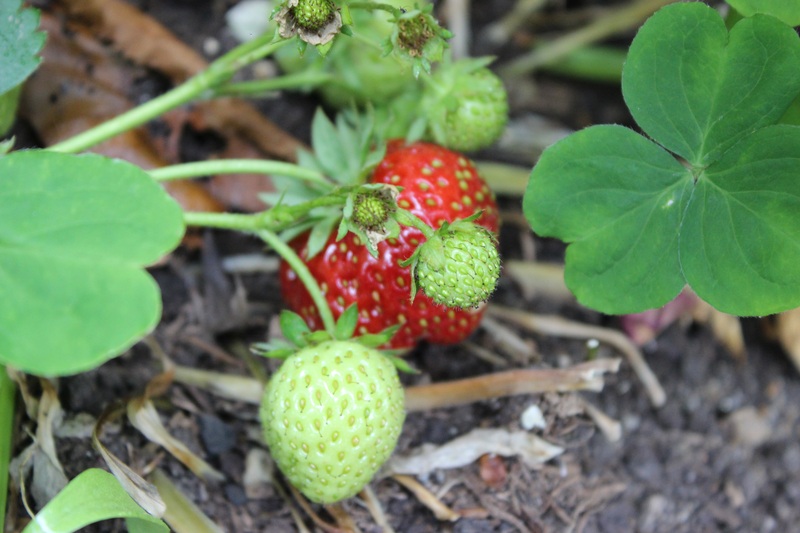 I recently posted about the flowering strawberry plants that I have in my garden this year, and with the warmer weather they’ve now begun bearing fruit. There’s only a few ripe ones at a time but it’s satisfying to check them regularly and see if there’s any that can be picked. My little nephew is really pleased with his apple tree and takes good care of it. 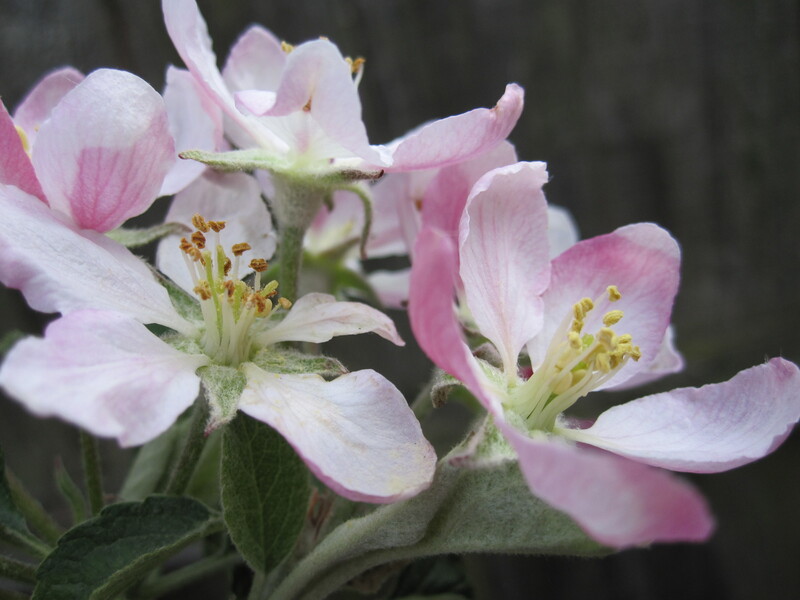 These pretty blossoms should mean that he is able to enjoy the delicious fruits of his labour later in the year. I thought I’d have a go at the weekly photo challenge for this week – the theme ‘orange‘. 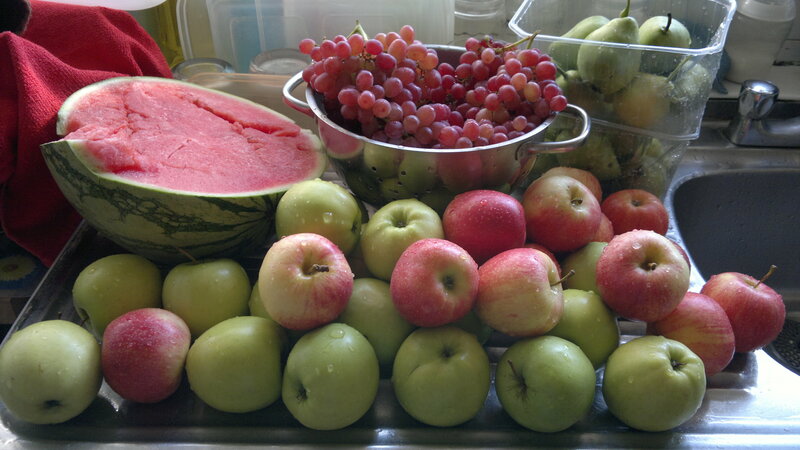 The day before the wedding day, my sister and I went to the local grocers and fruit stalls in our area and brought a whole range of fruits to give us different shapes, colours and sizes for our table. We then started placing the prepared fruit neatly in flat plastic trays that would help make the fruit not only look good but also make it easy to transport to the wedding venue. We added small bunches of grapes and slices of oranges to the cut pieces of watermelon and melon, to add colour and also help fill the gaps. My sister also had a good idea to make small cups of fuit that people can just take away. We used the leftover bits of watermelon, melons and grapes and added strawberries on top. She did this in a rainbow colour order which I thought looked great. We had asked the venue to provide us with a couple of extra tables with tablecloths for us to use for our fruit. I got to the venue early and set this up before the guests arrived. At previous parties and events my sisters have always set up a pretty sweet table for guests to enjoy. They decided they would like to do one for the wedding too to sit alongside the fruit table. In the weeks running up to the wedding we all kept an eye out for any sweets that fit our colour theme; red, gold and white (to match the bride). We then put them in colour blocks in various clear pots we had to make it all look neat when put together. I think the birdcages with the roses threaded through them are an especially nice touch and help bring the whole table together. I think we did a good job (even if I do say so myself) and I think the bride was happy and the guests enjoyed it too, as most of it was eaten. We learnt that we can use our creative ideas to put together something that is well presented and enjoyed by all, at the fraction of the cost. I’d love to hear what you think of our efforts and if you have any other good ideas.